What’s all the fuss about dart thrower’s motion? If you have been present in the hand therapy literature world as of late, you can’t help but notice all the hype about dart thrower’s motion (DTM). So, what is it and how can we use it in the clinic?! 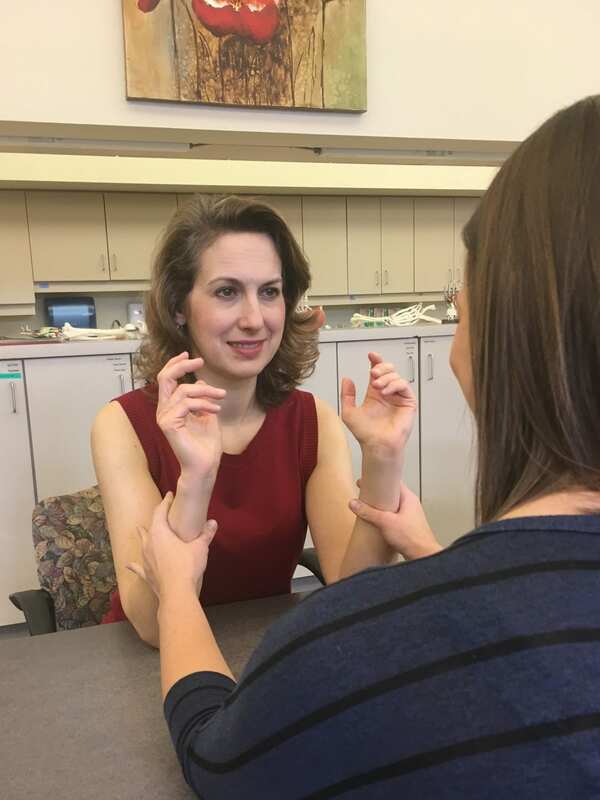 DTM is the movement that occurs with ulnar wrist flexion and radial wrist extension – just like if you were throwing a dart! It is a function primarily of motion at the midcarpal joint (between the proximal and distal carpal rows) rather than the radiocarpal joint. DTM follows the plane of the scaphoid which is 45 degrees from the coronal plane. Many of our functional tasks during the day take place in dart thrower’s plane. Think about using a hammer, casting a fishing pole, drinking from a glass and setting it back down on the table, or…throwing a dart! So, when should we use dart thrower’s motion in therapy? DTM is indicated for patients who would benefit from midcarpal mobility. One of these populations would include those who have issues with instability within the proximal carpal row, between the scapholunate or lunotriquetral interval. Since DTM utilizes motion at the midcarpal joint, the proximal row remains unstressed during motion compared to straight plane flexion and extension. This would be a great way to initiate ROM with post-operative patients after a scapholunate or lunotriquetral ligament repair or debridement. An additional population that could benefit from DTM would be folks with issues at their 1st CMC joint. We know that arthritis of this joint causes hypermobility at the CMC. Consequently, we see stiffening of the adjacent segments of the radial column such as the articulation at the trapezoid on scaphoid. ROM in the dart thrower’s plane can assist with starting to improve mobility at this segment to unload the forces of the CMC joint to decrease pain– especially if they have been limbered up with some manual therapy techniques! When should we NOT use it? 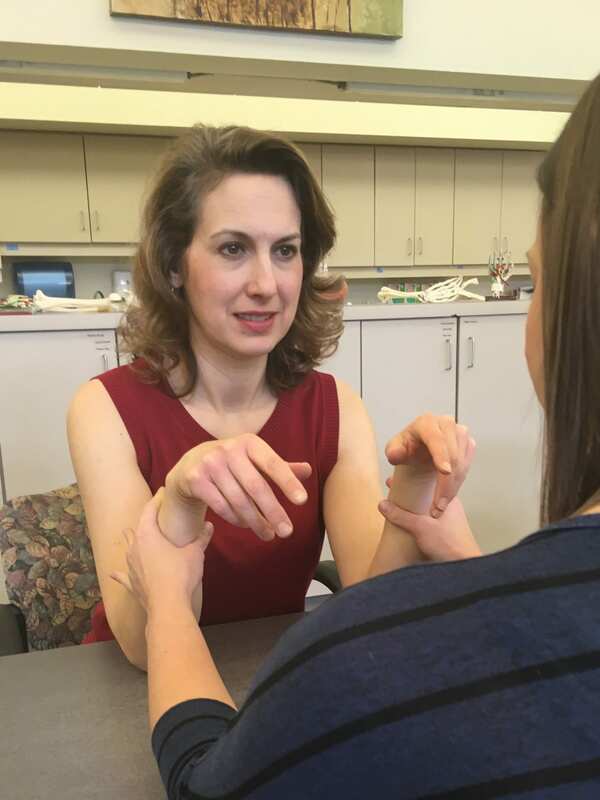 Since DTM is a product of midcarpal mobility, we would not want to use if for patients with midcarpal instability in either a volar or dorsal direction. For these folks, we want to keep wrist motion in straight plane flexion and extension so that they can utilize mobility of the radiocarpal joint. We also wouldn’t use if for anyone who cannot complete the movement without pain.